Bad breaths are actually very common. In fact, studies have shown that nearly 50% of the general population has halitosis (bad breaths) regularly. It is also common in babies less than two to three years. If your baby has bad breath, there might be many causes for it. Bad breath may be caused right from simple reasons like bacteria build up in the mouth, but also note that it may be a symptom of some serious underlying problem. You may want to try some home remedies before going to the doctor. Here are a few tips to deal with baby bad breath. Before getting into the remedies, let us first look into what may cause baby bad breath. This is the most common cause of baby bad breath. Mouth, especially the tongue and the region between the teeth and the gum, host many bacteria whose metabolism products like sulfur, volatile fatty acids, and other similar chemicals which manifest themselves as baby bad breath. This especially becomes the case when the tongue is thickly coated. 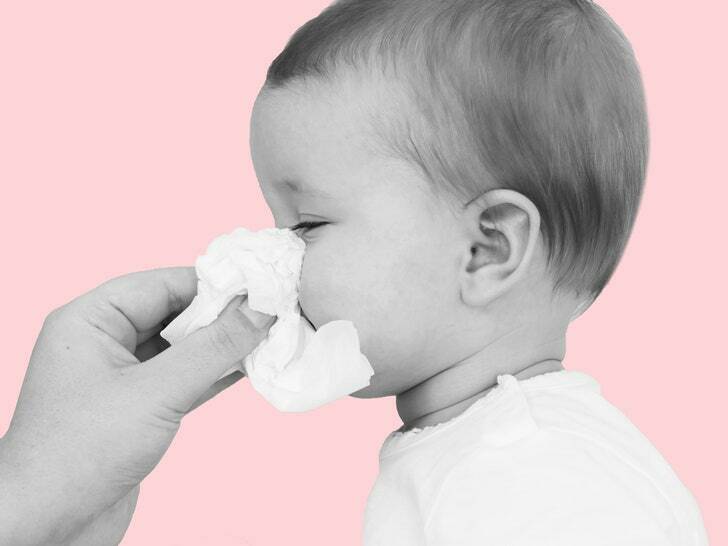 If your toddler has chronic sinusitis, he/she might exhibit other related symptoms like cough, nasal obstruction, runny nose for a long time, facial pain, etc. In other cases, if some foreign object is stuck in the nasal cavity like a piece of bread or food may also cause bad breath. In such cases, there will usually be foul-smelling, green to yellow mucous discharge from the nose (more often from a single nostril). The foul odor will often be remarkable and becomes worse very quickly. If your child has gastrointestinal issues like gastroesophageal reflux disease (GERD), bad breath may be a result of it. Conversely, if your child has bad breath and has symptoms like nausea, vomiting, abdominal pain and/or heartburn, she might have gastroesophageal reflux disease. This needs immediate attention of the pediatrician. He/she might prescribe medicines both for the symptoms and bad breath. Many children breathe through their mouths instead of the nose while sleeping. This dries out the oral mucosa, which decreases the saliva slow in the mouth. This results in foul-smelling bacteria in the mouth. There are many reasons why children might breathe through their mouths, ranging from nasal congestion due to an allergy to adenoids blocking the nasal pathway. If your child drinks milk or juice (or anything other than water) from a sipper or bottle at night, it might worsen the problem. Here are a few tips to deal with baby bad breath. Make sure you brush your baby’s teeth twice every day with a mild toothpaste and brush with soft bristles. Give special attention to the tongue, especially to the back half of the tongue, where bacteria mostly get built up in layers. Cleaning this region helps to keep bacteria off your child’s mouth, thus keeping a check on bad breath. We cannot stress enough of the importance of regularly visiting your dentist, who will have specialized with an Online Dental CE and will be in a better position to handle the oral health care of your child. Visiting the dentist at least once in six months for regular care like cleaning, plaque removal, etc. This not only helps to beat bad breaths but also keep other oral hygiene problems like teeth decay, toothache, etc at bay. Having enough water content in the body is definitely important to maintain good health, especially oral health as this helps to prevent the mouth from drying out preventing the build-up of bacteria. There are studies that show that hydration is one of the most effective home remedies for bad odor. So, make sure your child is sufficiently hydrated. In case your child has sinusitis, in addition to maintaining good water intake, clean its nose often to prevent nasal congestion. Also, try to always keep the prescribed medicines in ready supply in your drug cabinet so that sinusitis is under control. If bad breath has recently started along with sinusitis, waiting for a few days for it to subside might help. But, if things go out of control, better visit your pediatrician to be sure and safe. If you suspect that there is a foreign object stuck in the nasal cavity, call in your pediatrician and get it removed. The foreign body might already be surrounded by swollen tissues and it becomes difficult to remove it at home. If you give your baby sugary drinks, limit it as much as possible. Sugary drinks increase bacteria build-up in the mouth, causing more bad breath. Also, sugary drinks cause dental problems like toothaches, tooth decays, etc which may also cause bad breath. So, prevent these dental problems and get them treated by a professional with a dental CE online. So, these were some of the facts that you need to know about baby bad breath and ways to deal with it. Try to follow these tips and always contact your dentist or pediatrician in case something seems wrong.